Bordeaux, a port city in south western France, attracts thousands of visitors each year. This beautiful city has something to offer all age groups. The city also has the distinction of having one of the UNESCO World Heritage sites in its midst. You can find a number of churches, museums and other historical monuments in this gorgeous French city. Car rental is definitely the best way to get around here. There are plenty of hotels and apartments in the city so accommodation is never a problem. 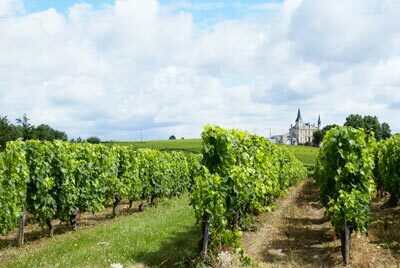 Tourists can enjoy delicious food and some of the world’s best wine in Bordeaux. The famous attractions of the city include Bordeaux's Golden Triangle, the Basilique Saint Seurin, Bordeaux Grand Theatre, the Cathédrale St-André and many more. Bordeaux is also famous for its stunning nightlife and there is a lot to enjoy for fun loving people as a large number of bars, nightclubs and cafes can be found all over the city. Shopaholics will also have a great time here and can do a lot of shopping in various markets of the city. Car hire is highly recommended to the tourists for sightseeing. Bordeaux's Golden Triangle is formed by the three major roads of the city which are the Cours de l’Intendance, Cours Georges Clemenceau and Allées de Tourny. The place offers you never-ending shopping opportunities and you can buy some of the best tastiest wines in the world and which are instantly recognisable as they share the name of the town. There are different chain stores in the shopping complexes of the area and Bordeaux car hire is a must for serious shoppers. Alternatively take a trip to the Basilique Saint Seurin which is the city’s oldest church. It was built in the 4th century and is known for its precisely carved throne. It is a great place for those who have a deep interest in history. The Bordeaux Grand Theatre, a great example of neo-classical architecture, was built in 1780. The portico of the theatre is punctuated by a dozen grandiose Corinthian columns adding elegance to its beauty. The Basilique Saint Michel is also a worth visiting place in the city. It is one of the tallest monuments in south western France with a height of 400 feet. This gorgeous monument was built in the 14th century and is a magnificent example of religious architecture of medieval era. These are only a few among the numerous monuments and sites of the city. There are plenty more attractions in Bordeaux which are just waiting to be explored and Bordeaux car rental is the ideal way to get around in comfort. The best way to discover Bordeaux Airport is by renting a car. Renting a car is easy and affordable way of transportation. With your rent a car you can explore the beautiful surroundings of Bordeaux Airport. Rentalcargroup.com works with numerous rent a car companies in Bordeaux Airport. Last month, the average car rental length at Bordeaux Airport was 6 days. The average rental car length at Bordeaux Airport is 5 days. The most booked rental car type currently at Bordeaux Airport is COMPACT cars. Last year, the most booked rental car type at Bordeaux Airport were COMPACT cars. How much does it cost to rent a car at Bordeaux Airport? Last month, the average car rental price was 297 USD. Last year, how much did it cost to rent a car at Bordeaux Airport? Last year, the average car rental price was 236 USD. What is the current average daily price to rent a at Bordeaux Airport? Last month, the average rental price was 52 USD per day. How much did it cost to rent a car at Bordeaux Airport over the past 12 months? Last Year, the average rental price was 44 USD per day. The car rental companies available at Bordeaux Airport are: Alamo, National, Enterprise, Firefly, Interrent. See below last 5 customer reviews. Our customers rated Bordeaux Car Rental with an average of 10.00 based on 2 ratings.